When it comes to the unexpected, we’ve got your back. Whether you purchase a new or used car from us, our warranty ensures that you will have peace of mind for years to come. Mazda's new and demonstrator vehicle range are backed by a 5-year*, unlimited kilometre warranty. It covers parts and panels so you can enjoy your new Mazda with peace of mind. This applies to the entire range of Passenger, SUV and Commercial cars. All used cars bought from Sutherland Mazda come with a 3 year/175,000km warranty. If you prefer to extend the life of your car warranty, you can opt for an additional 3-year Premium Warranty, for that added protection. 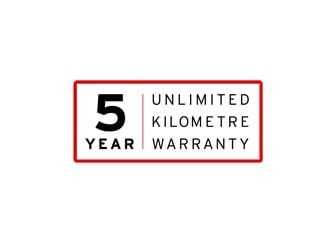 If you’ve recently bought a new Mazda, you’ll be backed by a five year, unlimited kilometre warranty that covers any defect in material or workmanship in both parts and panels. For full details take a look at our terms and conditions. We’ll always recommend that you service your Mazda with Mazda Genuine Parts. Not only because they help maintain the integrity of your Zoom-Zoom, but because all genuine parts are backed by Mazda's Parts and Panel warranty. All used cars bought from Sutherland Mazda Mazda come with a 3 year/175,000km warranty. In the unlikely event that something does go wrong during your warranty period, contact Sutherland Mazda for support and advice. Once they’ve got all the information they need, they’ll book you in for the repair at the next available time.